Florence Shaw of Massachusetts, the originator of the "Birchwood" group of cultivars, registered this plant in 1986. It has yellow (lutescent) leaves that are cordate and flat in shape. 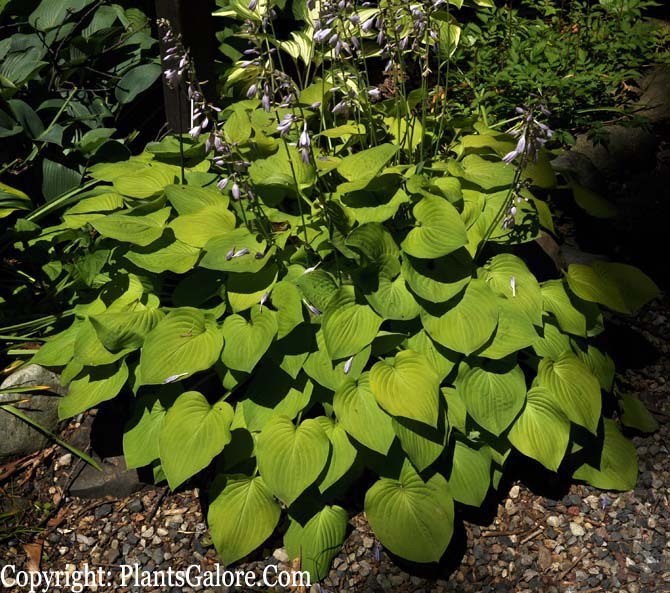 This fast growing, medium size (17 inches high by 43 inches wide) plant with foliage that starts the season chartreuse but changes to gold in color later. It bears lavender, bell-shaped flowers are borne on 38 inch scapes in July. The cultivar is probably a hybrid of the species, H. nakaiana. According to The Hostapedia by Mark Zilis (2009), "This cultivar ranks as the most famous of the 'Birchwoods" and is the first of which I became aware. 'Birchwood Parky's Gold' produces a good show of lavender flowers over a dense, symmetrical mound of gold, heart shaped foliage...it has been known by an amazing number of other names, including 'Golden Nakaiana', H. nakaiana 'Golden', Parkman Shaw', 'Parkman Shaw 391', 'Parky', 'Parky's Birchwood Gold' and 'Parky's Gold'." The New Encyclopedia of Hostas by Diana Grenfell (2009) states: "A classic hosta, still one of the best for lighting up woodland areas. Grow with H. 'Blue Cadet' or H. 'Pearl Lake'." Florence's husband's name was Parkman Shaw. 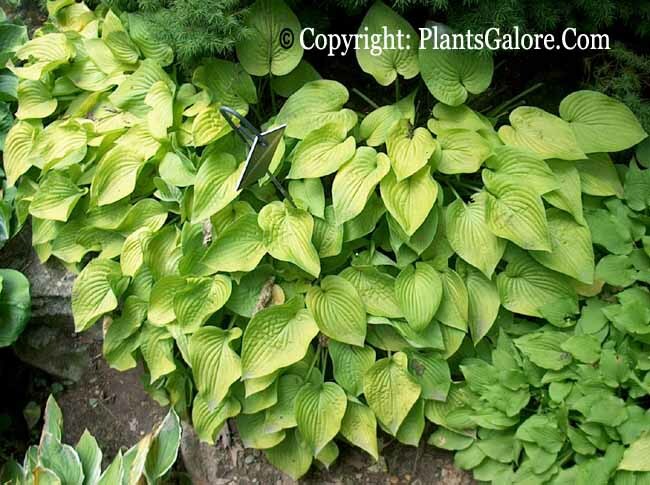 That is the origin of the term "Parky" in some of the names of her hostas.